Glad to be a Girl: A Weekend in Cape Town Celebrating! A Weekend in Cape Town Celebrating! Okay, okay I know I missed the "end of the week" post last week. But at the last minute I took a Sick Day on Thursday and I already had Friday off because we were flying down to Cape Town on Thursday evening. Plus not much happened last week. I had Tuesday evening plans but they were postponed so I ended up at SCM. And other than that, seriously, nothing. On Thursday tho we flew to Cape Town and got to have dinner with Mom & Dad :) Was fab seeing them again. 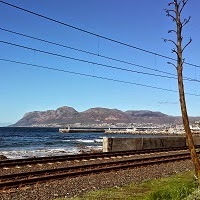 On Friday we had big plans to make use of Mom's The Entertainer vouchers and do some wine-tasting, but she woke up feeling awful, so went back to bed while The Trucker and I took a drive to Kalk Bay for breakfast. What a superb day. And my word, it was like a Ghost Town on a Friday morning, superb! 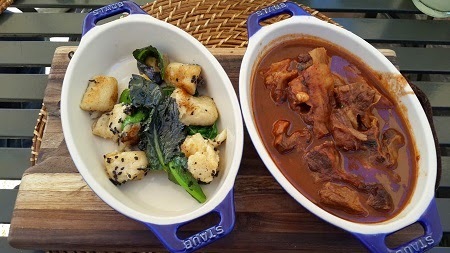 We ate at Olympia Cafe and then strolled along the main road. 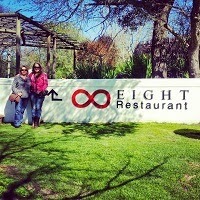 By the time we got back mom was feeling better so we picked up our plans with lunch at Eight at Spier. The setting is lovely, but I wasn't very impressed by the menu. It is fairly small and looks like it changes regularly. Mom & The Trucker both had the burger and I tried the gnocchi. I forget now the official description, but it was a very high-maintenance meal. I had barely had a bite of mine by the time the others had finished because it took so long for me to remove the fat from the meat (supposed to be ribs?). This may not bother some people, but it certainly bothered me. I ended up with a side plate full of bits I wasn't going to eat. At least the flavour was nice once I'd dissected it ... unfortunately by then it was a bit cold. But since it was lunch on a beautiful day, I wasn't too bothered. I doubt I'd go back any time soon ... perhaps for a picnic? We did get 2 of their desserts to taste. Mom's choice was the Summer Fruit Tartlet (poached pear), which was massive and had a lot of cream (which completely overpowered the flavour of the rest). The Trucker chose the Rooibos and Honey Creme Brulee. I really liked the flavour of this although the colour and texture were a bit odd. 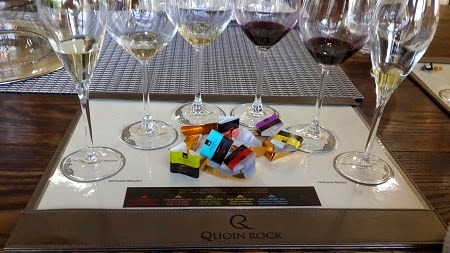 After that we headed to Quoin Rock for their Chocolate & Wine Tasting. I didn't really like any of their wines, honestly. But the chocolate was quite nice. The big surprise was that the only wine I actually did like was their dessert wine ... which I NEVER like! Haha. And then we headed home and watched The Bone Collector on tv. We were up early-ish on Saturday to head off to my aunt's place in Riebeek West for my gran's 90th birthday. Wow, what an awesome day. We had perfect superb weather, so much good food and family :) We even got to chat to my cousins who are overseas on their gap-year. We got home in the evening and had an early night. On Sunday we still couldn't sleep in because we had a 10:20 flight home after a quick Wimpy breakfast at the airport with Mom. And then once we were home, it was back to normal. Pepper spent the weekend at a kennel (we told her it was holiday camp) and apparently had a wonderful time. It was awesome to be back home with all our animals :) I think Gypsy was particularly pleased to see us ... especially since she had 2 hours with us before Pepper got home. She didn't leave us alone for a second. Poor girly. How are they gonna cope for 2 weeks next month when we go to Turkey! 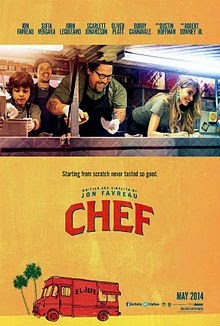 In the evening we watched Chef, which I completely enjoyed ... although it made me very hungry - haha!